I'm not sure if I have done this before, besides the vinyl LP era when I would spin a record on the Elizabethan stereo turntable, like The Temptations 'Masterpiece,' repeatedly over and over again until something else distracts me. Songs like that, back in the day, was how a music appealed to me, by way of listening to it continuously, paying particular attention to the generated beats and lyrics while studying the arrangements and compositions in addition to the liner notes that tells it all -- the album itself and origin. 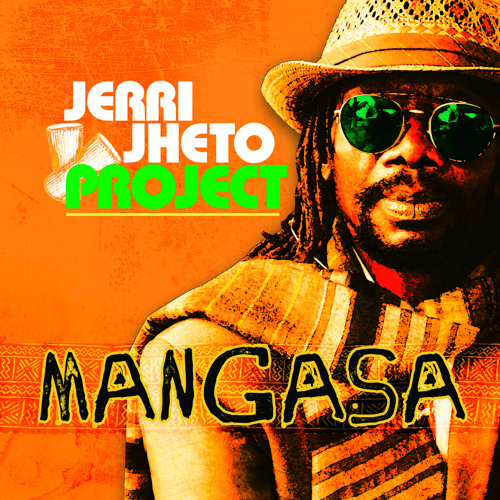 As it had happened, Jerri Jhetto shipped to me his latest release from the recording studio, to complement his days of sleepless nights on 'The Jerri Jheto Project: Mangasa', in which one must admit, that hard work pays off, eventually. When I received a copy of the album, I was not sure of what to expect knowing from what had erupted at a time musicians wanted their success commercialized in line to going with the flow and joining a bandwagon that had pursued the rush as pop culture zig-zags with a changing times even though I had looked forward to some 'as usual' reggae beats and kind of vibes people always wanted to hear and dance. Jhetto came up entirely different and what a master of his craft would do to identify himself. 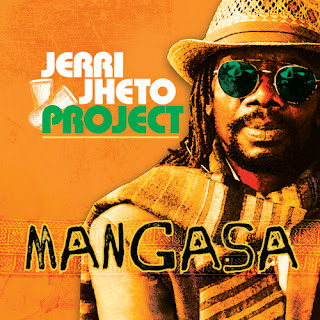 The "Jerri Jheto Project: Mangasa," amplified in all aspects, takes a little bit of every musical genre, swinging along the typical sound of its African origin with mother tongue, the Owerri dialect, revived in his lyrics and beats to draw from the notable bongo beats of the seventies in appreciation to pop culture as it evolves. 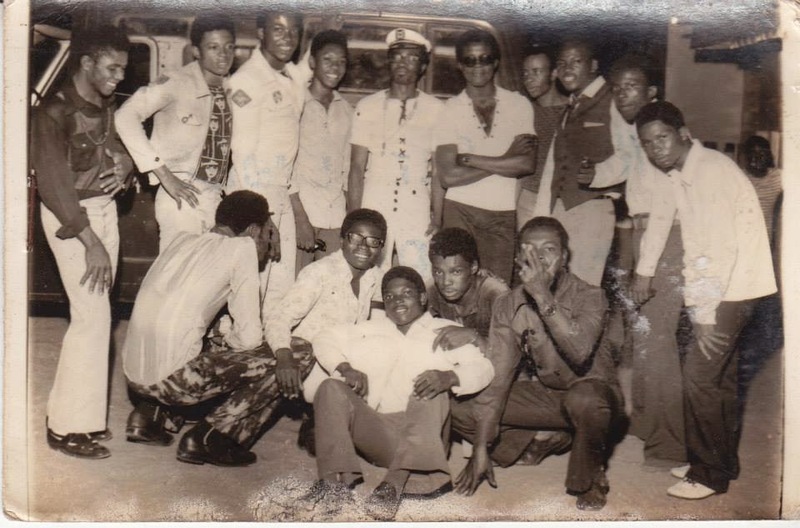 In spite of the cuts superbly arranged, and adaptation, Jheto found his way around for authenticity while he kept intact the originality of his music holding steadfast to the highlife traditions, adding calypso, afrobeat, afrorock, blues and ikwokirikwo to an emerging coinage, Yorima Beat. 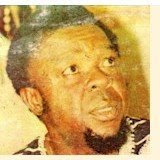 For weeks, I drove around glued to "Mangasa" and every beat seemed to be sending some kind of message, either of joyous festivities, merry-making and causes and effects to our troubled times, Jheto took step to put every track into perspective to explain the worthiness of his work as his notes indicates in every category: high pitched Owerri dialect in highlife music from the track 'Umu Igbo,' and 'Udara,' reviving beats of the early seventies bongo in Ala Owerri, combining storytelling and the realities of life. Rap, flowing of wind instruments and strings can be heard while mixing traditional highlife tunes with mainstream pop culture, hip-hopping in 'Egwu Ndere Ndere'. The request for palm wine, ugba (oil bean) and its concoction, stockfish, culinary correctness and tasty Owerri dishes streams along to identify with his cultural heritage. Mangasa, no question, is impeccably produced even when it kind of slows down and jumps over again, it's deeply entertaining to listen to as every track is done with perfection. A jam in every track, though my favorite piece here is 'Umu Igbo,' where Jheto remarks his craft, the authentic sound of Igboland and revival of culture. A must collection for every lover of music and good vibes.